Do you believe in life after life? Meet Ross Bartlett, Earth Angel, the young psychic who is dedicating his time on this earth to proving the existence of the afterlife and healing those who are left behind. Ross has an extraordinary gift that few people share. 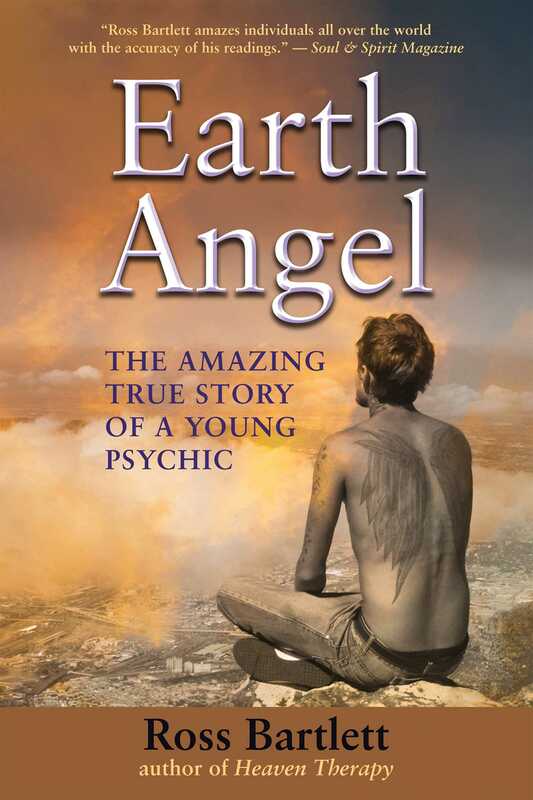 This is the story of his incredible psychic talent and his rapid progression as a medium – from his first vision at the tender age of five to becoming the youngest known professional medium in the world at the age of sixteen. Ross has gathered a reputation for being possibly the world’s most evidential medium. He is known for his ability to give precise details of the spirits who contact him from the next life, proving their authenticity. This rare skill has enabled him to give messages of hope and comfort to thousands of people who are suffering from bereavement. Ross’s spiritual influences are from many cultures and he sees quantum physics as a pathway to understanding consciousness and his incredible psychic abilities. Whether giving one-to-one readings or demonstrating in front of large audiences, Ross delivers messages with immense compassion, clarity and sensitivity that is rare in our current world. His exceptional talent has generated enthusiastic media attention and his experiences have led him to seek to form a bridge between spirituality and science, believing this is the way forward for humanity. Reading this book, you will find that Ross’s passion for reaching and helping as many people as possible with never die and neither will the souls of all the people we love. "Ross Bartlett amazes individuals all over the world with the accuracy of his readings."